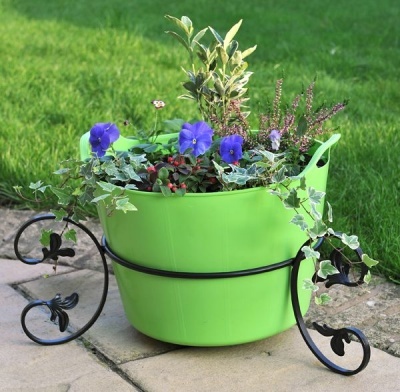 A totally unique product which we specifically designed to display Rainbow Trugs when they are used as colourful plant containers. 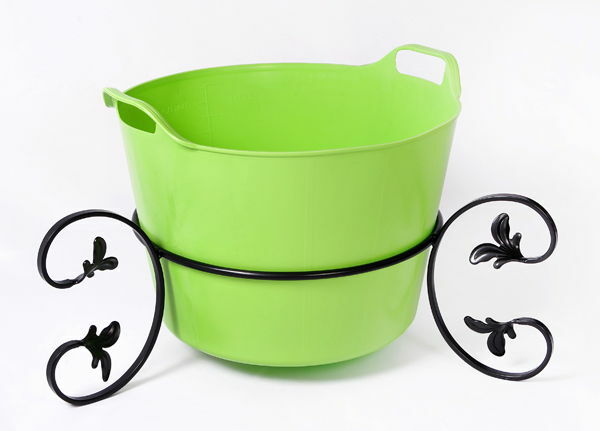 Made in the UK from durable steel and powder coated in a semi-gloss black finish. The stand consists of a large ring fitted with three elegant leaf-scroll legs. Available in 2 sizes to fit 15 Litre and 30 Litre Rainbow Trugs they are an excellent way to enhance your beautiful floral displays.